You are unique in your power to synthesize all elements and include all modern thought and new visions into astrology. I am impressed by the thought that of all the books I have read on astrology, of all the talk I have heard from the lips of astrologers, Rudhyar’s work, his thoughts, outweigh, indeed eclipse all others. Walking in the hills the other day, my mind filled with his thoughts, it occurred to me that there was a very valid reason for singling him out, for putting him above all the others I have known in one way or another. It is, to put it in a nut-shell, that he has the very special gift of always keeping before our minds the whole. It is an even more striking faculty in his case than it would be in another since he has shown again and again that he is capable of breaking the whole into an infinite number of parts. His ability to dissent and analyze, to show the relation between the parts, and finally to relate the parts to the whole, is a most exceptional one. Rudhyar passed the summer 1954 and spring 1955 at the Huntington Hartford colony in the Santa Monica Hills. There he composed the score for his most extensive and mature composition, Thresholds. There was no time for Rudhyar to orchestrate it, but twenty years later the task was completed by George Champion of Palo Alto. During the winter 1955, Rudhyar gave a series of lectures in Santa Barbara and San Francisco; and in June the publication of monthly mimeographed booklets Seed For Greater Living began, made possible by the efficient secretarial work of a devoted friend, Virginia Seith. These publications were issued regularly until 1962. A book of poems, Resurgence, was also written during this period. Rudhyar lived then in a small one-room apartment on Hollywood Blvd. He wrote a regularly for the magazine Horoscope and gave a few lectures in Los Angeles, during a brief stay in New York stay during December 1956, and in San Francisco and San Jose during 1957. In 1958, invited by an elderly Swiss correspondent, Mme. Honegger, Rudhyar took three trips to Europe, which proved most significant and valuable. The second trip, 1961 through 1962, brought to him many contacts and stimulating experiences. He lectured in several countries (France, Switzerland, Holland and England), receiving an exceptionally warm response. He wrote in French the book Existence, Rythme et Symbole at the suggestion of an editor; but very peculiar events made the promise of publication a myth. This book however formed the basis for the later work, The Planetarization of Consciousness, which, when published in 1970, made tremendous impact on the minds and outlooks of the thousands of young people worldwide who had suddenly became fascinated by Rudhyar's work. At a lecture in Holland, Rudhyar met Carolus Verhulst of the Dutch publisher Servire, who offered to publish a small book of his, if there was one needing publication. Rudhyar, who had tried in vain to find a publisher in New York and even in England since McKay in Philadelphia had given up in 1951 all astrological publishing, presented Mr. Verhulst with a copy of The Pulse of Life. The Dutch publisher accepted it at once and a most fruitful cooperation began, which resulted in the publication of nine volumes, making Rudhyar work widely available, just as a new generation of seekers were becaming fascinated by metaphysics and astrology. 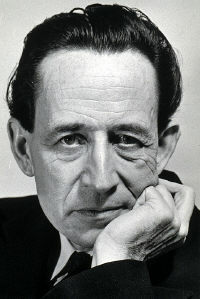 During a third trip to Europe in 1963, Rudhyar gave a seminar at the School of Philosophy in Holland and lectures in Paris and England. While staying on the Italian Riviera during August, he started an autobiography, which was superseded by another in 1983. During the summer of 1963, Rudhyar received letters from a young Canadian woman, Tana, who was then living with a piano teacher who had been a past correspondent and had bought several of his books. Tana came to see Rudhyar at Christmas while he was staying for a few days in Cathedral City. After her return in March, they were married in Riverside, California, taking residence nearby in San Jacinto, Calfiornia after a lecture tour in St. Paul, Chicago and Boston. The years which followed were a period of quiet and steady work and involvement in the publishing, promotion and distribution of the books being published in Holland. A small volume, The Rhythm of Human Fulfillment was written and published in California in 1966. Tana became involved in a very early version of desktop publishing, typesetting several of Rudhyar’s manuscripts for publication on a vintage IBM Executive typewriter. In 1967 a small grant from the Ditson Fund in New York enabled a number of copies of most of Rudhyar's piano scores to be distributed to some libraries and a very few pianists. Rudhyar had recopied most of them for this occasion and they are now available at the Composers' Facsimile Edition, which is a branch of the American Composers Alliance, to which Rudhyar belonged for many years. He not only copied old scores, but revised and completed the work now called Syntony, in four sections (Dithyramb, Eelogue, Oracle, Apotheosis). During this period he also composed the ninth Tetragram, Summer Nights.